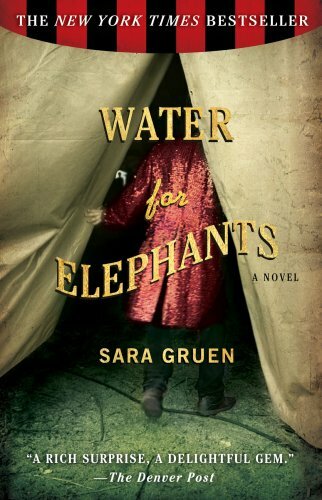 First up was Water for Elephants by Sara Gruen. It was amazing. I have yet to see the movie, but the book was dark, had some unexpected twists and was filled with details about the circus business. The only thing I would have liked to see was a more in-depth relationship with Rosie, the elephant and the main character, Jacob. But overall, was definitely worthwhile. Now I just need to see the movie, and hope it is as good as the book. Fingers crossed! 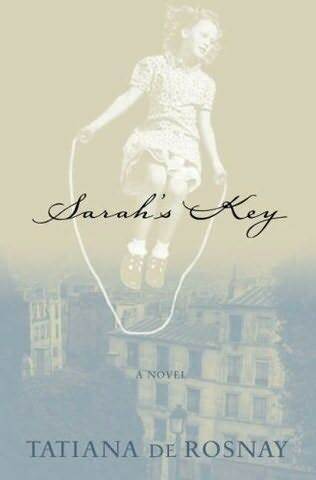 Next up was Sarah’s Key by Tatiana de Rosnay, another great book. This was a duel story about a ten-year-old Jewish girl during the Holocaust and the Vel’ d’Hiv roundup in 1942. On the other end of the scale, in 2002, a journalist begins writing a column on the sixtieth anniversary of the roundup and finds herself personally connected to an event she knew little about. This story was touching, interesting, eye-opening and thoroughly enjoyable. I would highly suggest it. 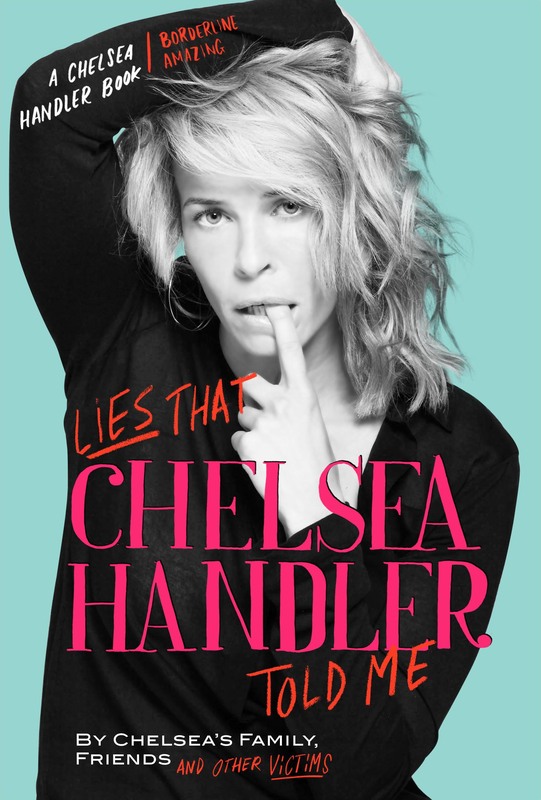 Last, but most definitely not least, was Lies That Chelsea Handler Told Me by Chelsea’s family, friends and other victims. After the first two downers (although they were great), I needed some laughs. And boy, did I find them. I think Chelsea Handler is certifiably nuts and lives a life that I would absolutely love to have. She is crazy, crazy, crazy and also, apparently a compulsive liar. The shenanigans this girl gets away with is insane. Overall, a bundle of laughs and definitely a good first book to read on my Kindle. Now, I need to find something else to read… suggestions? Okay, I apologize… yet again. You would think sitting down at a computer and writing about your life on a regular basis wouldn’t be that difficult. Apparently, I have made it so. So again, after a few weeks of disappearing, I am back to update you on all sorts of shenanigans. First off, if you ever have a chance to visit the Shedd Aquarium… do it! It is by far the greatest place I have ever worked. The environment is awesome, the people are fantastic and the view is insane. I’ve been a part of some amazing opportunities and am so grateful for the experiences I am having there… and they just keep on coming! I’m so sad that I’m halfway through my internship, because it means I am getting closer and closer to leaving. But hey, At least I’m leaving to go to Prague, no complaints there! Anyway, last week at Shedd, I was able to be a part of Chicago Navy Week. This week honors our loyal Navy personnel and celebrates all of their hard work and dedication to our country, awesome. This year, Shedd hosted a large group of Navy SEALS and they dove into the Caribbean Reef exhibit, which normally happens 4 times daily. The coolest part about this was the Shedd has a system hooked up where you can hear the divers speaking from underwater, so guests are able to ask questions and get answers while they are underwater. The guests loved it, and I thoroughly enjoyed working with the Navy SEALS and listening to them answer endless questions. Another highlight was getting to work with Frank Mathie from ABC 7 here in Chicago. He was so generous, had a great personality and a great journalistic viewpoint. You can see his coverage here on all the happenings that day. I even had a quick cameo at the end clapping as the men sang “Anchors Away”. Chalk that up as a success! Graduation: I graduated with a Bachelor’s degree in May from Eastern Illinois University with a major in Public Relations and minor in Health Communication and managed to do it in three years. Phew! Talk about exhausting. Lucky for me, my family and best friend made it down for the weekend and it was a great last weekend in Charleston. Oh how I am going to miss it. My nephew napped through the whole thing and would not take off his sunglasses for pictures or smile… caught you stinkbug! Internships: I am fortunate to have two internships this summer, both of which are semi-local. First, I am the new Income Development Intern for the American Cancer Society in Batavia, which is exciting because this organization has been a part of our family for years. Secondly, I am honored to have the title of Communication and Public Relations Intern for the John G. Shedd Aquarium in downtown Chicago, which has always been a favorite landmark of mine. 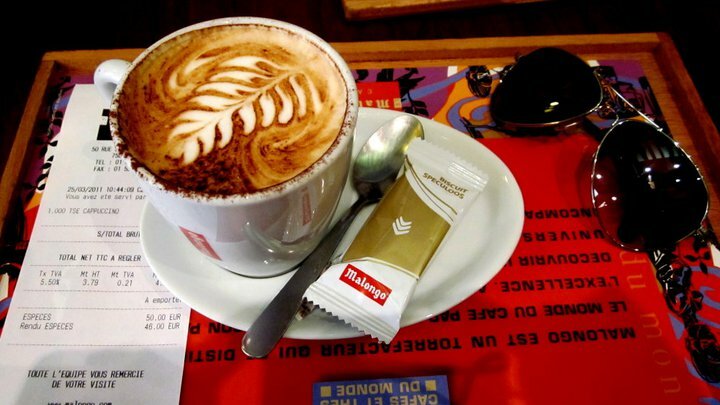 That’s the Readers Digest version of what I have been up to for the past two months, but now that I’m almost settled into my new commute and schedule(s), I’ll bloggy blog more often. Promise! There is also so much more to be told about my adventures in the city and my tentative travel plans, so stay tuned. P.s. t-minus 2 hours until my 21st birthday. Let the celebration begin! Reading my friends’ blogs from abroad over the past few months has my anticipation for Prague at an all-time high. Although I’m excited to see the magnificent architecture and hear the various languages and accents, there’s one thing that I am dying to experience: the food! As a picky-eater, college has been a great experience for me. I’ve been forced outside of my comfort zone and have eaten some bizarre combination of foods (nutella and popcorn) and tried some interestingly named entrees (chicken fried chicken?). I’ve even found myself eating asparagus and cauliflower… and liked it. It’s like I’m a whole new person! in Berlin and cacio e pepe in Rome had me practically drooling. I mean, look at this thing! 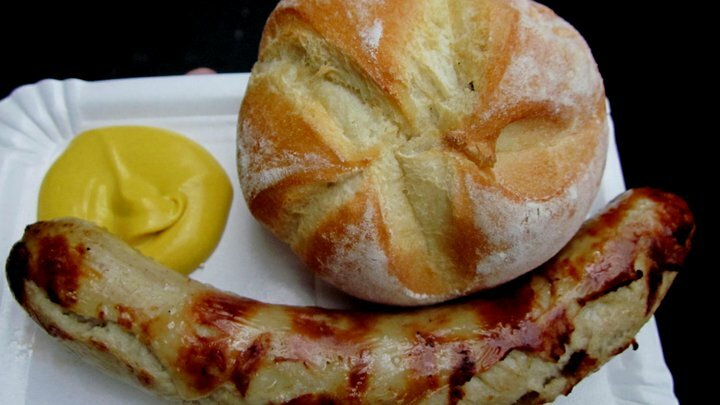 Although I won’t be posted in Berlin, hopefully I’ll get to try one of those bad boys someday soon. Until then, I’ll probably spend all my free time reading these two blogs I just found, Czech Please and Eat Drink Prague. Czech Please takes a deeper look into restaurants, posting pictures of the interior as well as the food, making it a visual must. 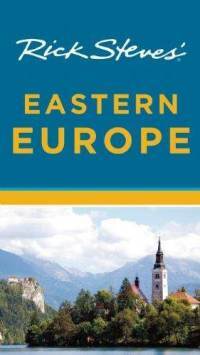 And Eat Drink Prague, explores restaurants, rating the food, drink, service and atmosphere on a 4-point scale. Looks like I’ll be keeping these two on my “favorites” for the next few months! TOMS is an an amazing organization founded by Blake Mycoskie, who developed a pledge that with every purchase of a pair of shoes, one pair would be donated to those in need, in Africa. 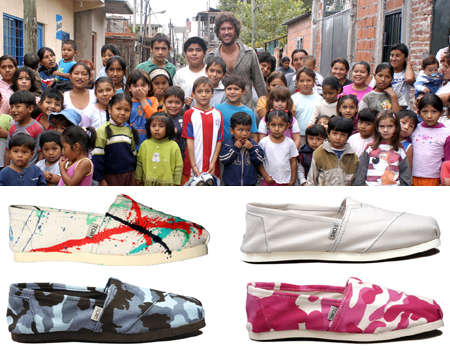 Since its founding in 2006, TOMS shoes has grown tremendously, expanded its products to clothing, and enlisted celebrity promotional help. The work of TOMS continues to help so many people and incorporates three of my favorite things: travel, fashion and giving. Sseko Designs is another passionate company from truly inspirational beginnings. My sister over at ebb&flow sparked my interest in Sseko (say-ko) last year when seeing a lot of similarities between myself and Liz Bohannon, the founder of Sseko. Since then, I have been fascinated with the work of Sseko Designs and it would be my dream to be a part of their team one day! What is so great about Sseko? Everything! First, the sandals are made by beautiful, amazing Ugandan women who use the money as funding for continuing education tuition. 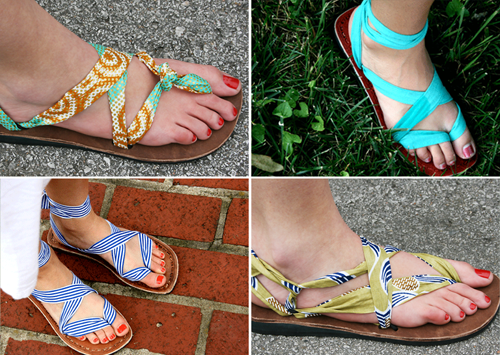 Secondly, the sandals are intricate yet simple and can be tied dozens of ways, use hundreds of patterns and what seems to be thousands of bright colors. Lastly, once you buy a sole, the straps are interchangeable. Genius. or host a party through Sseko. Lastly, never under-estimate word-of-mouth and the power of the blogosphere. Spread the word by purchasing some sweet kicks and blogging about the amazing organizations!